Bone marrow is found inside bones which is made up of sponge like soft material containing Stem Cells producing blood cells. There are number of good hospitals for Bone marrow transplantation hospitals in India. What are the types of Bone marrow Transplantation? Autologous Bone Marrow Transplant: The Stem cells are removed from infected Bone Marrow before the aggressive treatment. These stem cells are kept safe in freezer and preserved them which are later induced into the bone marrow post Chemotherapy and radiation. Umbilical cord bone marrow Transplantation: Stem cell are taken from a New born Baby’s umbilical cord. These stem cells are preserved for transplantation when required. There are various stem cell preservation centers in India where you can preserve the Umbilical cord. People nowadays, getting to know about the importance of preservation of Umbilical cord and gradually the number of people preserving cord cells is improving. Bone marrow transplantation centers may are practicing all the above three methods for Treatment of Patients coming to India for Stem cell Transplantation. The well known Cancer hospitals in the India are using these methods so that patients coming from far countries get the best advantage of multiple Treatment Options. Hospital like Artemis in Delhi NCR where the Bone Marrow Transplant Team is headed by Dr. Rahul Bharagava is doing very good for Patients suffering from Leukemia, thalassemia & Myeloma. BLK Hospital in New Delhi India has one of the Largest bone marrow transplant unit in Northern India. The Team at BLK Hospital is Headed by Dr. Dharma Chowdhary who is a renowned Haematologist in India. These Hospitals are treating adult as well as huge number of Paediatric Patients suffering from blood cancer. Fortis Hospitals are also one of the best healthcare institute for Bone Marrow treatment. Facilities at Bone Marrow Transplantation Units in India? The Hospitals in India providing best and very affordable bone Marrow Transplantation treatment. Bone Marrow Transplant is a complex treatment and hospitals have Separate unit which is highly equipped with Hepa filter. The Patients in these units are monitored continuously with Team of nuring staff dedicated for Bone Marrow Transplant Patients. Each & every Hospital does have a Team of Doctors who take care of Patients from 1st phase of treatment till the last one. Each Patient is observed very closely and the progress is noted by the Team of Doctors in the Hospitals. The Cancer Units in Hospitals of India have very highly qualified team of Doctors, Nursing staff & other Paramedical personals to serve the Patients with highest quality of medical care. The Hospitals offer affordable packages to Bone Marrow Transplantation Patients in India. The Cost of Allogenic Bone Marrow Transplantation ranges from USD 25000 to 35000 in India. The Cost of Induction Chemotherapy is excluded. The Chemotherapy Treatment depends upon the state of marrow which is clear after the Bone Marrow Aspiration done by Haematologist at the Hospitals. The Cost of Autologous Bone Marrow Transplantation range from USD 15000 to USD 25000. For Opinion of Best Doctors In India, You may choose to Scan the medical Reports and share your treatment query with us. We shall get back to you with OPINION of Top Experts within 24 hours. People from Africa can also share reports for quick suggestion. 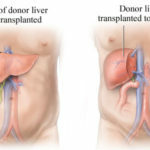 Why GHN for your Bone Marrow Transplant Treatment in India? Please note that we provide these services at No Extra Cost & Patient need not to pay any additional amount for their treatment here in India. We act as a single point of contact for opinion of Doctors from all associated Top Hospitals in India.